For a biohacker practicing intermittent fasting, urine ketones are a useful metric to track a state of ketosis. It's a quick and cost-effective way to indicate elevated ketone levels, which provide numerous health benefits. But for someone with uncontrolled type 1 diabetes or type 2 diabetes? 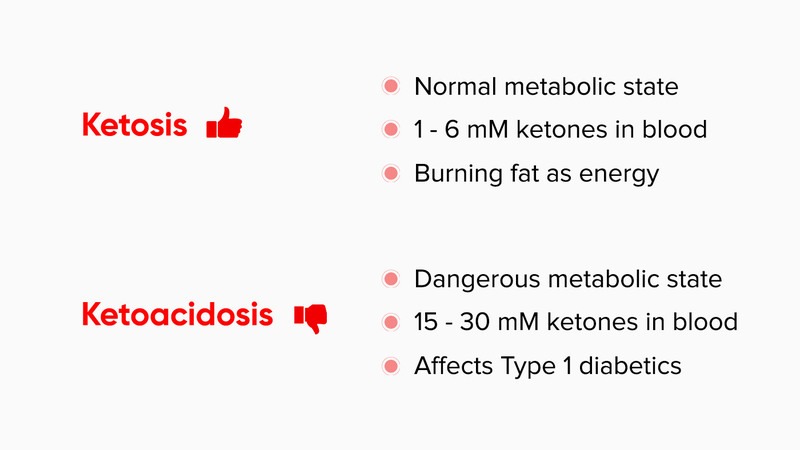 Extremely high ketone levels in urine may be a sign of ketoacidosis – a serious complication of diabetes which, if left untreated, can lead to coma and death. More on this outlier below. Why Even Test Urine Ketone Levels? 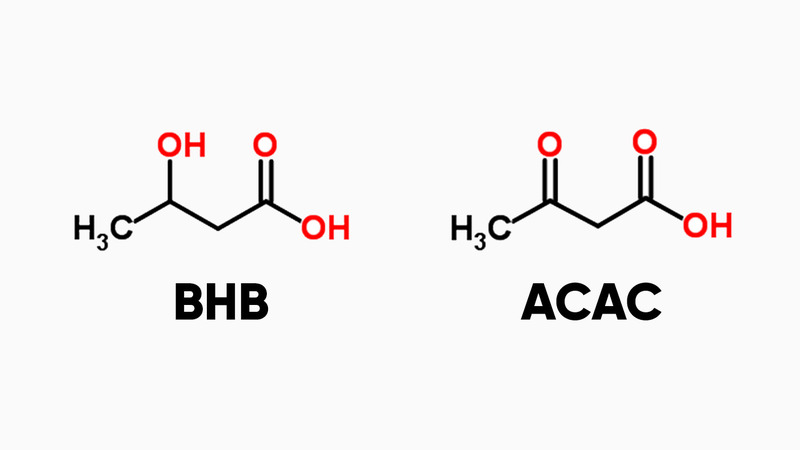 The two predominant ketone bodies in human metabolism – acetoacetate (ACAC) and beta-hydroxybutyric acid (BHB) – are made in the liver from fatty acids. When glucose is not available, they’re transported by blood to other body tissues to be used as an energy source. Acetone, the third and least abundant ketone, is spontaneously formed from the breakdown of acetoacetate. It’s found mostly in breath, and its contribution as an energy source is insignificant. There are always some ketones present in the blood, but levels naturally increase in response to fasting, prolonged or strenuous exercise, and a low-carbohydrate ketogenic diet.1 This is called ketosis. Like glucose, ketones are important metabolic fuels reabsorbed through the kidneys as the blood is filtered. When blood passes through the kidneys, small molecules like glucose and ketones end up in the urine, and so must be taken back up. Reabsorption of ketones prevents energy wastage and is especially important during extended fasts. The body doesn’t want to flush good energy down the drain, so ketones appear to be completely reabsorbed from the urine at low blood levels, like after an overnight fast. When the level of ketones in the blood exceeds the reabsorption capacity of the kidneys, the excess ketones spill over into the urine. To quickly and easily assess ketosis. Let’s say you’re starting a ketogenic diet, limiting carbohydrate-rich foods and increasing fat intake to promote ketone production. Remember, the amount of carbohydrate restriction needed to get into ketosis varies from person to person. Fasting, following a ketogenic diet, or supplementing a diet with exogenous ketones can all affect ketone levels. If weight loss is your goal, testing urine for ketosis provides a quick gauge for your body’s making of ketones and burning fat. But monitoring ketone levels in urine is especially important for people with diabetes when they are ill, stressed, or have persistently high blood glucose levels. A positive test result for urine ketones in people with diabetes may be a warning sign for ketoacidosis – a serious complication of diabetes (primarily type 1) associated with extremely high levels of ketones in the blood. If left untreated, diabetic ketoacidosis can lead to coma and death. Ketones can be found in the urine of non-diabetics as well, though usually at considerably lower levels. Nutritional (or “physiological”) ketosis is often confused with diabetic ketoacidosis because both conditions involve elevated blood ketones. Nutritional ketosis is a benign metabolic state that even occurs naturally in newborn infants and pregnant women. It’s the state people are aiming for when they follow the ketogenic diet or do intermittent fasting. While in nutritional ketosis, ketones in the blood are mild to moderately elevated. This is achieved via endogenous and exogenous methods. Endogenous increase in ketone levels is achieved through fasting, carbohydrate restriction or prolonged exercise. Diabetic ketoacidosis occurs when there is a shortage of insulin in the body, leading to uncontrolled diabetes. Without sufficient insulin to shuttle glucose into muscle cells and other tissues to be used for energy, blood glucose builds up to very high levels. High blood sugar levels cause a significant loss of fluids and electrolytes. Meanwhile, the liver begins to burn fatty acids as an alternative energy source, resulting in the accumulation of extremely high levels of ketones in the blood.10 These ketone levels (> 20 mmol/L) can exceed normal fasting levels more than 200 to 300 times.1 Since ketones are mildly acidic, this deluge of ketones causes the blood to become excessively acidic (metabolic acidosis), increasing the risk of coma and death if not timely treated. It’s extremely simple to test ketones levels using over-the-counter ketone strips. Urine testing is specific for the ketone acetoacetate. 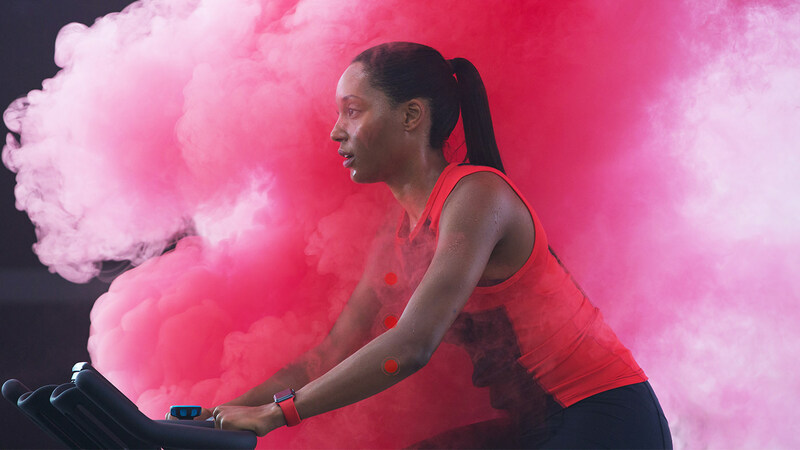 It does not detect beta-hydroxybutyric acid, which is measured via blood testing. To perform the test, pass the test end of a ketone strip through a stream of urine, or dip it into a fresh urine sample and remove it immediately. Wait exactly 15 seconds, and match the test end of the strip to the ketone color chart on the container. Inexpensive (100 strips cost around $10); much more cost effective than ketone strips for blood testing, which can cost nearly ten times more. Widely available (online and stores). Non-invasive; no blood, no needlestick. Convenient; no meter required; the test can be performed anywhere; portable. Semi-quantitative; only gives an approximation (trace, moderate, large) based on color rather than a number; somewhat subjective. Changes in hydration affect ketone levels. Over time, keto-adaptation leads to changes in urine ketone levels (see below). Urine ketone results change if you stay on a keto diet for several weeks because your metabolism changes. During prolonged starvation, the body undergoes a profound shift from running mostly on glucose to reliance on fat-based fuel sources: ketones and fatty acids. The ketogenic diet mimics this “keto-adapted” metabolism of starvation.14 In the first few days on a ketogenic diet, you begin producing ketones, some of which are excreted in the urine. 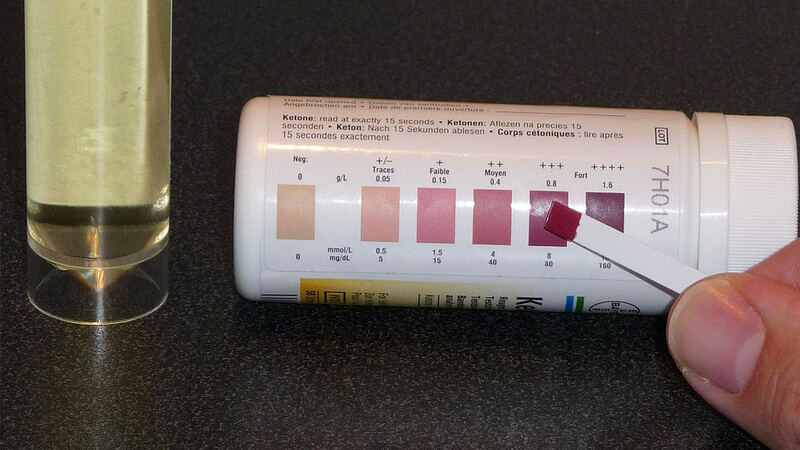 Color changes on your urine ketone strips show that you are in ketosis (if not, you may need to make some adjustments in order to get into ketosis, e.g. further reduce intake of carbohydrates, increase fat intake, exercise more, fast, or take exogenous ketones). Once you are keto-adapted (or fat-adapted), you may get a negative test result on your urine ketone strips, even though blood ketone levels may indicate that you are in ketosis. Over time, urine testing is less accurate than blood testing. Measuring ketones in urine allows for early detection and treatment of uncontrolled diabetes and mitigates the risk of developing ketoacidosis. The method also serves a purpose in healthcare, as a quick-and-easy indicator of ketosis. They can be very useful when you are just getting started on a ketogenic diet. Urine ketone testing can serve as a rough guide to help you know whether you’re on the right track. However, as you continue on the diet and become keto-adapted, you excrete fewer ketones. At this stage, urine test strips are less reliable. In addition, urine testing does not accurately quantify your level of ketosis. For instance, you may wish to reach a certain level of ketosis associated with a specific benefit like exercise recovery. In this case, blood testing is more appropriate since it measures the concentration of beta-hydroxybutyric acid directly in your circulation. The point? Urine testing for ketones is convenient and useful. But those on a long-term ketogenic diet or those using exogenous ketones, like HVMN Ketone, might want to stick to blood testing, as it provides a more accurate result. 1. Laffel, L. (1999). Ketone bodies: a review of physiology, pathophysiology and application of monitoring to diabetes. Diabetes Metab. Res. Rev. 15, 412-426. 2. Urbain P, Bertz H. Monitoring for compliance with a ketogenic diet: what is the best time of day to test for urinary ketosis? Nutrition & Metabolism. 2016;13:77. 3. Evans M, Cogan KE, Egan B. Metabolism of ketone bodies during exercise and training: physiological basis for exogenous supplementation. The Journal of physiology. May 1 2017;595(9):2857-2871. 4. Volek, J.S., Noakes, T.D., and Phinney, S.D. (2015). Rethinking fat as a performance fuel. Eur J Sport Sci 15. 5. Cahill, G.F., Jr. (1970). Starvation in man. New Engl J Med 282, 668-675. 6. Paoli, A., Bianco, A., Grimaldi, K.A., Lodi, A., and Bosco, G. (2013). 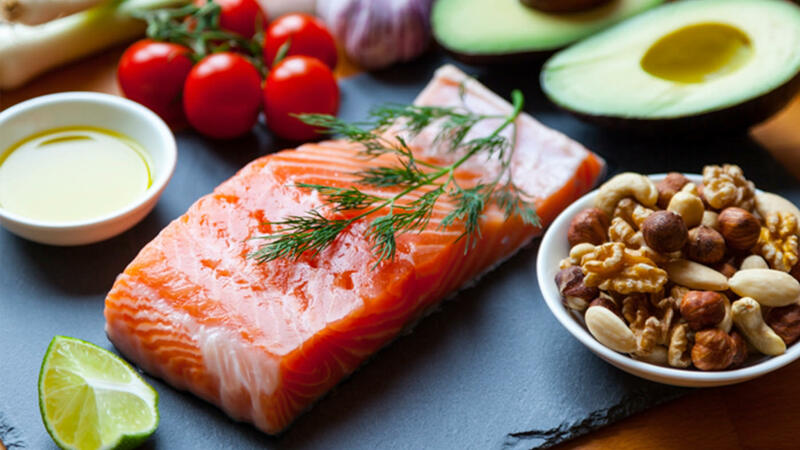 Long term successful weight loss with a combination biphasic ketogenic Mediterranean diet and Mediterranean diet maintenance protocol. Nutrients 5, 5205-17. 7. Manninen AH. Metabolic Effects of the Very-Low-Carbohydrate Diets: Misunderstood “Villains” of Human Metabolism. Journal of the International Society of Sports Nutrition. 2004;1(2):7-11. doi:10.1186/1550-2783-1-2-7. 8. Cahill GF, Jr., Veech RL. Ketoacids? Good medicine? Transactions of the American Clinical and Climatological Association. 2003;114:149-161; discussion 162-143. 9. White H, Venkatesh B. Clinical review: Ketones and brain injury. Critical Care. 2011;15(2):219. doi:10.1186/cc10020. 10. Brutsaert EF. Merck Manula. Professional Version. Diabetic Ketoacidosis (DKA). 2017; Accessed 1-16-18, 2018. 11. Sharman MJ, Kraemer WJ, Love DM, Avery NG, Gomez AL, Scheett TP, Volek JS. A ketogenic diet favorably affects serum biomarkers for cardiovascular disease in normal-weight men. The Journal of nutrition. Jul 2002;132(7):1879-1885. 12. Taboulet P, Haas L, Porcher R, Manamani J, Fontaine JP, Feugeas JP, Gautier JF. Urinary acetoacetate or capillary beta-hydroxybutyrate for the diagnosis of ketoacidosis in the Emergency Department setting. European journal of emergency medicine: official journal of the European Society for Emergency Medicine. Oct 2004;11(5):251-258. 13. Stubbs, B.Cox, P.; Evans, R.; Santer, P.; Miller, J.; Faull, O.; Magor-Elliott, S.; Hiyama, S.; Stirling, M.; Clarke, K. (2017). On the metabolism of exogenous ketones in humans. Front. Physiol. 14. Kemper, M.F., Srivastava, S., Todd King, M., Clarke, K., Veech, R.L., and Pawlosky, R.J. (2015). An Ester of beta-Hydroxybutyrate Regulates Cholesterol Biosynthesis in Rats and a Cholesterol Biomarker in Humans. Lipids 50, 1185-1193. 15. Sapir D, Owen O. Renal conservation of ketone bodies during starvation. Metabolism. 1975;24(1):23-33. 16. Kapelner A, Vorsanger M. Starvation of cancer via induced ketogenesis and severe hypoglycemia. Medical Hypotheses. Mar 2015;84(3):162-168. 17. The Art and Science of Low Carbohydrate Living: An Expert Guide to Making the Life-saving Benefits of Carbohydrate Restriction Sustainable and Enjoyable. Jeff Volek, Phd Stephen D. Phinney MD, Rd Jeff S. Volek Phd, Stephen D. Phinney. Beyond Obesity, 2011.